Doncaster Rovers first team players visited primary schools across the Doncaster region on Monday as part of the Rovers Roadshow. Tyler Smith and Alfie May visited Hawthorn Primary School, Andy Butler and Herbie Kane travelled to Bessacarr Primary,Ali Crawford and Danny Andrew made the trip to Willow Academy, and Marko Marosi and Matty Blair called Auckley Primary School. The visits were organised by the Club Doncaster Foundation as part of the popular Rovers Roadshow. The players answered questions from pupils focusing on resilience, explaining how hard they had to work to become professional footballers, and how they have had to overcome obstacles and challenges. 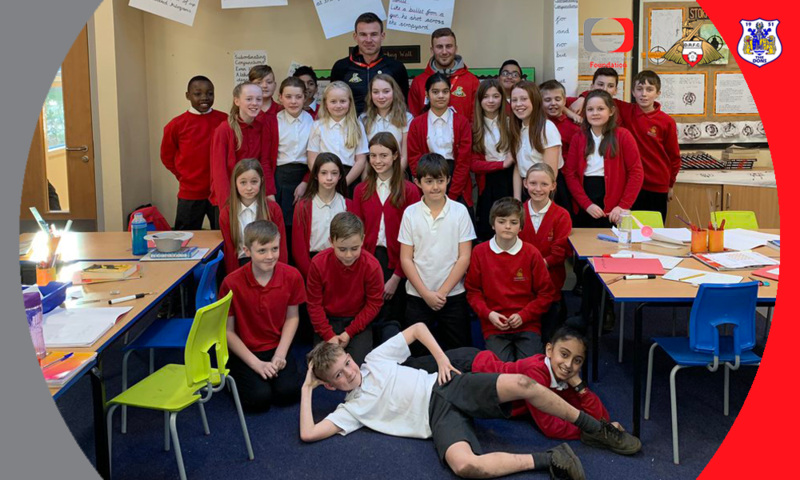 Club Doncaster Foundation school sports development officer Kelly Jackson-Powell said: “It was great to have the Rovers players down at the schools to talk about their own experiences with resilience. Thank you to all the first team players and members of staff that came down from Doncaster Rovers. As part of the roadshow, all pupils were given complimentary tickets for Rovers' home game against Peterborough United on February 9.